'Cable Bay' is a solid reliable well built Ketch with many extras if you were planing an offshore expedition. With her centre console, large aft cabin, well set out working galley and living area she is a boat that would provide years of fun. 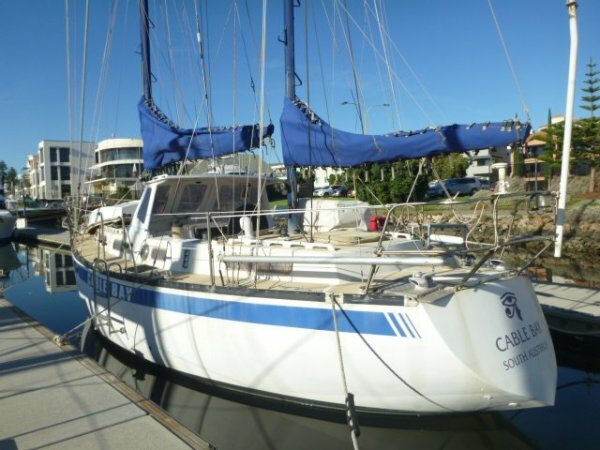 The current owner has taken her on numerous adventures around Kangaroo Island and beyond. He believes a boat should be set up and ready to go at all times in case you have the urge to sail off into the sunset and leave everything behind. Needless to say I have never seen a boat stocked with as many spares and a boat as organised with personal needs as this one. The overall condition of the surfaces below deck are excellent all surfaces including the beautiful floor have been covered with a removable rubber mat laid to provide a more nonstick surface in rough conditions. With a bit of sorting out and cleaning up this boat will give you years of off shore or in shore sailing pleasure. It is being sold as an as is proposition with all the tools on board included.